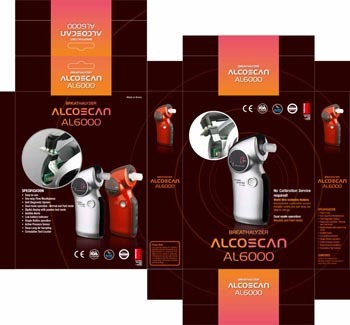 The AL6000 Alcomate Prestige Professional Breathalyser (Recent Stock) is a highly accurate digital semi conductor breathalyser. It is an ideal model for individuals and organisations working to a budget and not wishing to purchase the AL7000, Mk X, or a Police Grade unit. However, if you are likely to need to use the results of a breath test in order to be the basis for further action which may lead to suspension or dismissal of an employee then you should seriously consider the Drager 6510/6810 Breathalyzer series which are Home Office Approved and have been successfully used at employment tribunals in the UK and worldwide, otherwise the AL6000 Prestige Pro is an ideal screening device. Alternatively the Alcovisor Mk X offers Police Grade accuracy without full home Office approval at present. This model is also sold under various other names. There are a limited number of companies, especially e bay sellers, selling the older style AL6000 which does not have the facility to accept a precalibrated drop in sensor. We only sell the 2012 Prestige Pro. When the unit requires calibration, lift the top cover, disconnect the old sensor and simply click in a pre-calibrated sensor module which includes a new air pathway. 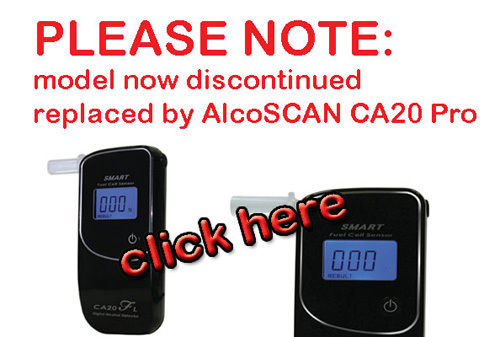 The breathalyzer is therefore always available, no down time for expensive, time consuming recalibration. Click On the pictures below to see the pre calibrated sensor being fitted. 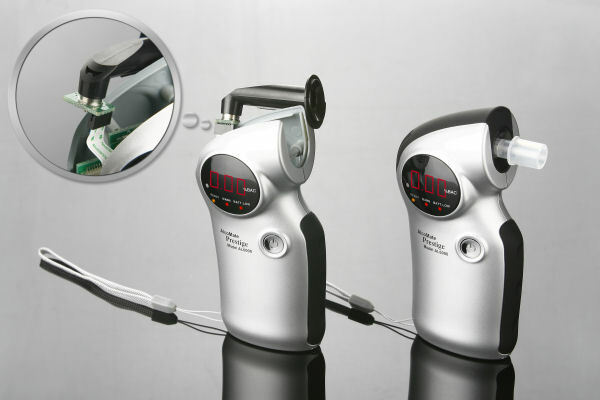 The AL6000 Prestige Pro offers very high accuracy and sophisticated alcohol sensing technology, making it a very popular choice with companies and individuals requiring high precision. 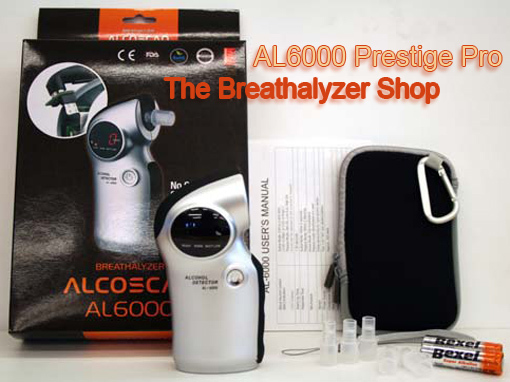 The AL6000 Prestige Breathalyser boasts powerful and convenient features not available in similar breathalyzers and is a market leader in its field. 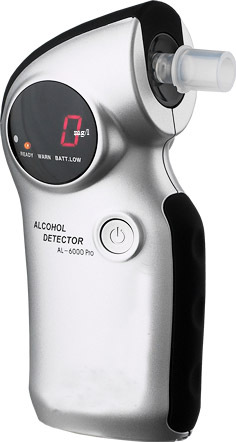 A perfect choice for employers/individuals requiring a reliable, accurate breathalyzer. Universities & Colleges, Schools, NHS, Military Police Forces Worldwide, Airline Pilots, Transport Professionals & Individuals Requiring Accuracy. It is supplied with a custom pouch, 2 Free batteries and 5 reusable, fully washable plastic mouthpieces. We can supply extra mouthpieces if required and would recommend additional mouthpieces for employee testing.